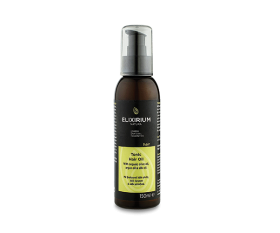 ELIXIRIUM NATURA - TONING HAIR OIL. 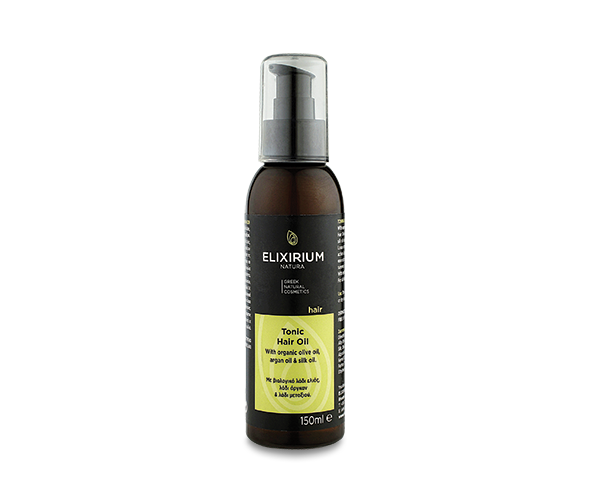 HomeElixirium NaturaHAIRELIXIRIUM NATURA - TONING HAIR OIL. with organic olive oil, argan oil and silk oil. 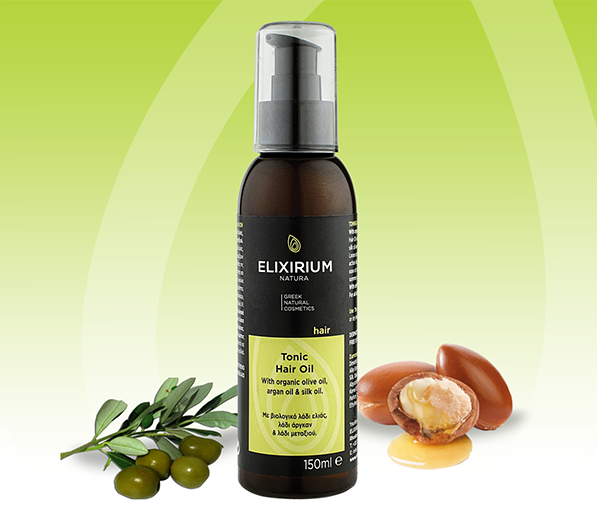 Hair Oil with organic olive oil, argan oil and silk oil. It gives immediate nourishment and intense shine to hair. Loose composition, which enhances the action Abyssinia oil and vitamin E, providing ease of combing and softness. Use and summer, as it protects against UV radiation. With certified organic extracts and oils. Use: The oil may be applied on towel-dried or dry hair.